Tom Coll’s great grandfather established a grocery business here in 1926. His eldest son, Joe, Tom Coll’s grandfather, along with his brothers Louis, Vince, Emil, and Paul and their wives, Jennie, Frances, Mary, and Marie were the original work crew. Papa Pauls’ wife, Mama Rosie, and their only daughter, Mary, lent a helping hand. The business prospered and Vince continued until 1992. In 1992, great grandson, Tom, took over and is still going strong. Joe Fassi Sausage and Sandwich Factory remains committed to serving customers high quality products in the Fassi tradition. Buono Apetito and thanks for sharing our roots! It's what Joe Fassi is famous for! 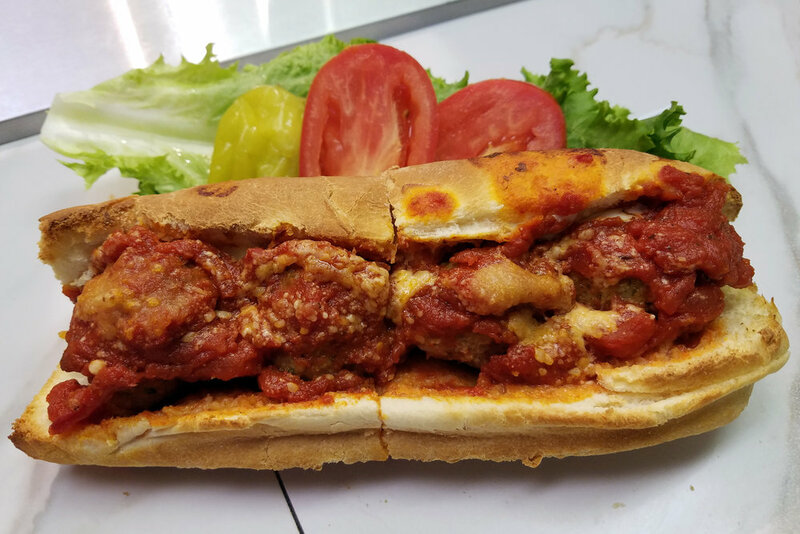 Ask anyone about "Joe Fassi's" (as many locals like call us) and the first thing they will mention are our sandwiches. We have 28 select sandwiches to choose from. Or make your own custom sandwich! Two of our most popular "Cold Sandwiches" are the #1. Joe Fassi Combo and the #7. Emil Fassi American Bite and two of our most popular "Hot Sandwiches" are the #15. Meat Ball and the #23. Aunt Jennie Salsiccia Stinger. Find your favorite on our menu! It's what makes Joe Fassi different! Our closely guarded family recipes for sausage, meatballs, and salad dressings haven't changed over the years. Why mess with perfection? They are made from scratch right here on The Hill in St. Louis, Missouri. Stop in and grab some! Perfect for a party! And speaking of parties, Joe Fassi has a Party Menu that allows you serve anywhere from 10 to 50 (or more). We also have Box Lunches. Please allow 24 hours advance notice for orders. Now you can simply ORDER JOE FASSI ONLINE for pick up! Or you can call us for pick up at 314-647-5158! And for delivery, we partner with a variety of different apps and services, including DoorDash, Postmates, Grubhub, and ezCater. Thank you for ordering Joe Fassi's! Have a suggestion? We want to hear it! Have a problem? We want to fix it! Have a compliment? We love those too! We promise to do our very best to provide answers and resolve issues to the best of our abilities and in a timely fashion. Our customers are the reason why we have been around for 90 years. We appreciate each and every one of you. Hope to hear from you!